Did you make any resolutions this year? As wonderful as we may be (and Lord knows I'm pretty damn fantastic), we could always stand to improve in some way. 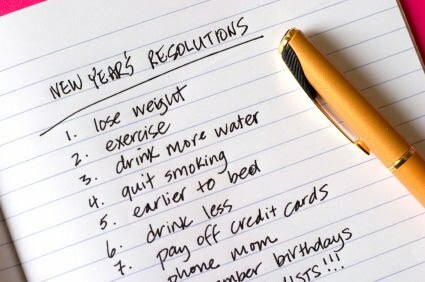 So if you're taking on a new challenge in 2011, here are my eight tips to increase your chances for resolution success. Good luck! I don't bother making any resolutions... If I don't make them, I can't break them! It's a time to reflect on the changes we want or need to make and resolve to follow through on those changes.New Year's Goals makes the point that we won't be successful in accomplishing the goals we set for our businesses next year....nice post..